We are involved in providing our customers a range of On-Screen Advertisement during the intermission between the movie for various brands. Our professionals execute these services only after understanding client's business and objectives of advertising. Cinemagoers don’t wait around for things to happen. They like to be ahead of the game.They’re the ones who get in early, who form opinions, preferring to see film on the big screen, rather than watching them on video or television. 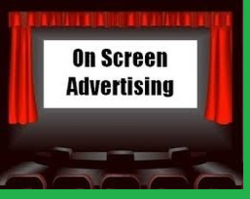 Reach thousands of your potential customers by investing in advertising in Cinema Hall. Looking for Cinema On-screen Advertising ?